Seeing as I had not dealt with the real estate market in over 20 years, Paul and Monika were recommended to me by a co-worker. From the first meeting, Paul showed confidence, he was eager to show houses and mostly, he listens to what your specifications and wishes are in the home you are looking to acquire. Monika has great ideas for fine-tuning a house prior to going on the market and has a great grasp of the English language, leading to good, well-written descriptions of said building for marketing. They are both hard-working, honest, and have a good sense of humor with their clients as well as with each other. If ever I were to need a real estate agent again, I would most definitely go with them again, without any doubt in my mind of their performance. We had a great experience dealing with Paul and Monika. They are a very friendly, efficient and hardworking couple that will not let you down. Not only they sold our house, but they were able to get for us our dream condo. Even though we asked many times to visit different places, they were always available and happy to please us. They are a Great Team! 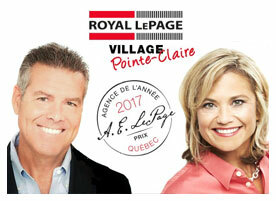 Paul Owen and Monika Schumeth are a husband and wife team of real estate agents operating through Royal Lepage, who managed the sale of two houses for us in the past three years. We found them to be pleasant to deal with, knowledgeable, methodical, dedicated, diligent, and effective. In both cases, they suggested a realistic asking price, discussed how they were going to proceed (MLS, ads, signs, agent day, open house, visits by appointment), carefully examined the house for all relevant aspects, and quickly assessed what would be the main selling points such as the condition of the house, location, neighborhood, schools, churches, transportation, etc. Then they went to work and, even though we knew they were handling several other houses at the same time, it seemed to us as if ours was the only house they were trying to sell. They sold one of the houses in the winter while we were out of the country, and Paul would even preheat the place and shovel the walks before an open house without telling us about it. They were going to sell our house whatever it took. And sell it they did. Papers went back and forth via email, offers, counter offers, declarations, offer acceptance, inspection dates and findings, they methodically took care of everything. Both houses sold quickly and for within $15,000 of the asking price. In short, we are very happy with the dedicated service offered by the Paul and Monika team, and would recommend them to anyone buying or selling a home.